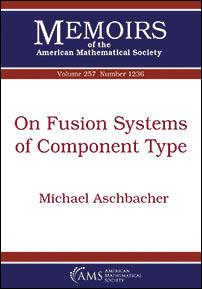 This memoir begins a program to classify a large subclass of the class of simple saturated 2-fusion systems of component type. Such a classification would be of great interest in its own right, but in addition it should lead to a significant simplification of the proof of the theorem classifying the finite simple groups. Why should such a simplification be possible? Part of the answer lies in the fact that there are advantages to be gained by working with fusion systems rather than groups. In particular one can hope to avoid a proof of the B-Conjecture, a important but difficult result in finite group theory, established only with great effort.